Quick and easy to light, the versatile Kettle 3 can be used as a grill or a stove! 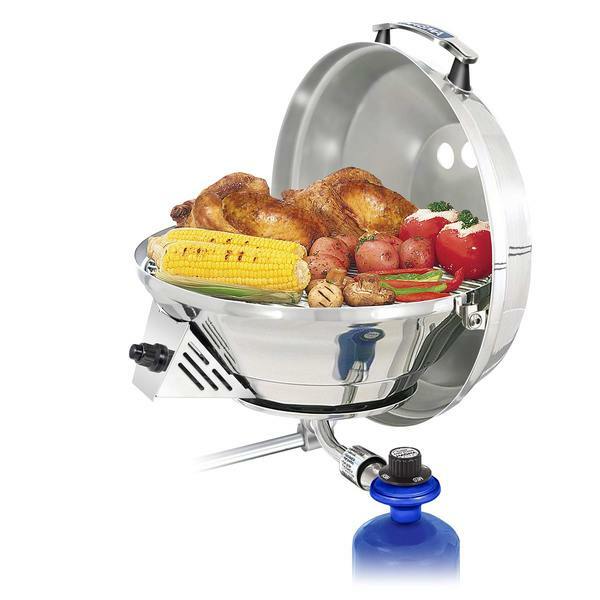 With a heavy-duty stainless steel inner safety shell, the outer surface of this grill runs cooler and is less apt to discolor due to excessive heat. Outstanding features include the burner and hi-tech radiant plate and dome heat distribution system that results in fewer flare-ups and extended grill life. Used as a grill or as stove, the Kettle 3 provides perfectly even heat distribution. Uses convenient 1lb. disposable propane fuel canisters. 15 1/4" x 10" x 15 1/2"